Our Virtual Open Days are designed to provide you with an insight into the telecommunications industry whilst helping you to be confident that you are making the right decision for your future career. In addition to having a look at our world class training facilities, you will get the chance to see previous delegates in action and the opportunity to talk to one of our dedicated Resettlement Training team members about the courses we offer, work placement, career progression, funds and any other queries you may have. An exclusive webinar for 7x24 Exchange members covering energy efficiency strategy and capacity reclamation plus achievable expectations. 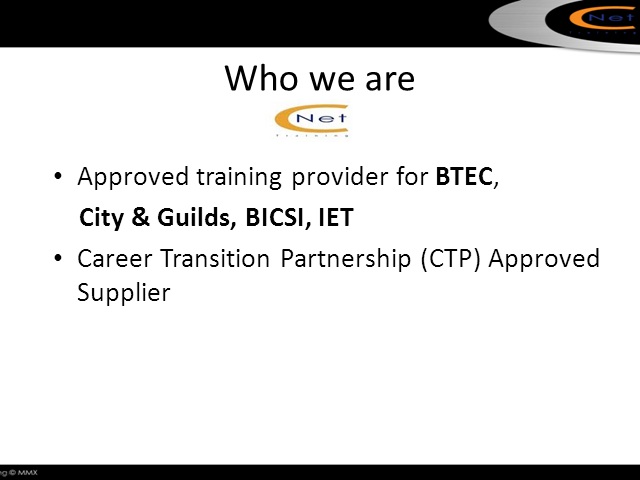 This channel is created and driven by CNet Training, a global leader in telecommunications training, specialising in the Data Centre training.